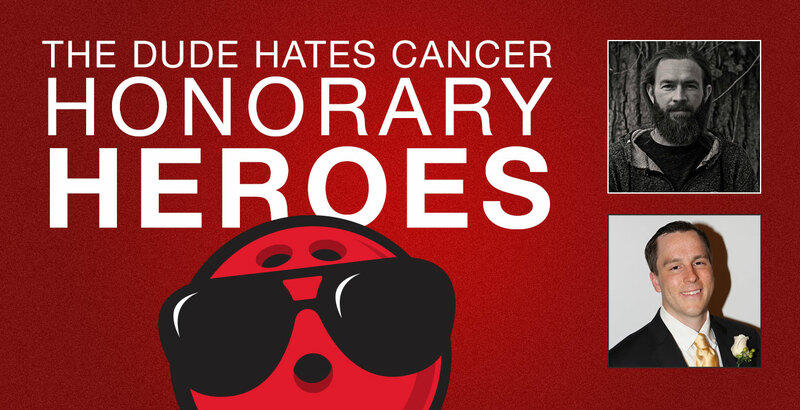 Every year at The Dude Hates Cancer, we like to honor blood cancer survivors. They all have unique stories to share about their experiences, and they serve as a powerful reminder of the progress that is being made by The Leukemia & Lymphoma Society in the quest to treat and ultimately cure these diseases. Earl Stout III grew up in a small town in New Jersey called Groveville before moving to Pennsylvania in 2002. In October 2006, he was diagnosed with Stage 2B Hodgkin’s Lymphoma. That’s where he met our other Honorary Hero, Brent Evans, who was also an Honorary Hero for the Dude Hates Cancer two years ago. Earl and Brent have collaborated on their own charity event for LLS, Carve for Cancer, which is going into its 3rd year this coming February. Earl also organized a Longboarding Skateboard Push benefiting LLS last September and this year will host that same event on September 13th. When Earl isn’t raising money on behalf of LLS, you can often find him outdoors hiking, kayaking, snowboarding, or longboard skateboarding. We’re honored to have him at the event with us this year and grateful for his own contributions to LLS. Brent P. Evans is a Quality Assurance Analyst for Suvoda LLC and a graduate of West Virginia University. Brent previously worked in administration at Jefferson in Center City Philadelphia and took graduate classes at Thomas Jefferson University for Clinical Trials and Information Systems. As a survivor of Stage IV Hepatosplenic T-cell non-Hodgkin’s lymphoma and an allogeneic bone marrow transplant recipient, Brent joined the Man & Woman of the Year campaign to become further involved with The Leukemia & Lymphoma Society. He was awarded the 2013 LLS Eastern PA Man of the Year after raising over $47,000 in 12 weeks. Aside from raising funds throughout the campaign, Brent would also like to use this unique opportunity for clinical trial advocacy, raise more awareness of blood cancer and educate others on stem cell transplants, bone marrow transplants and survivorship. In 2013, Brent founded Carve For Cancer, which is a snowboard inspired charity event that is fundraising for blood cancer research. Snowboard events in 2014 and 2015 have raised over $10,000 that were donated directly to the LLS. In 2014, Brent was invited to become a breakthrough charter member of the Sidney Kimmel Cancer Center at Jefferson NEXT committee (SKCC NEXT). The SKCC NEXT committee is facilitating Jefferson with achieving their National Cancer Institute (NCI) designation by engaging Philadelphia business professionals and local cancer research leaders with hosting philanthropic initiatives and a science meets medicine forum in the fall of 2015. Brent is also involved with the Thomas Jefferson University Hospital Blood and Marrow Transplant support group and has been involved with several cancer-related fundraising initiatives, including “Rally for a Rockstar.” Brent currently resides in East Falls, PA and his hobbies include snowboarding and cycling. ← Previous Previous post: Fundraising Prizes: Raise Money, Win Things!